The bathroom should be a relaxing, beautiful, and safe space that works for all members of your family. but that isn’t always the case for seniors or those who live with limited mobility. For these homeowners, walk-in tubs can provide exceptional security to help them regain their bathing independence, and Selig Construction makes getting a stylish, high-quality walk-in bath an easy and affordable process! 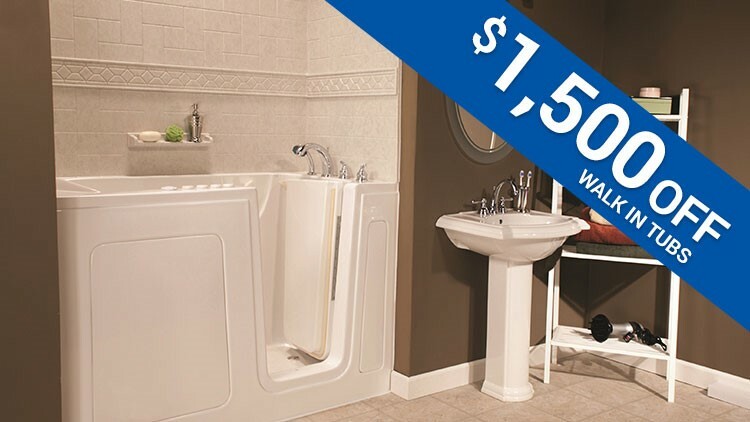 If you’ve been considering a walk-in tub installation, there has never been a better time to give us a call, because we’re now offering $1,500 off our walk-in tubs! 100% Financing available!!! · Fast installation—in as little as one or two days! Choosing the right company to make your bathroom a more accessible place is a big part of a successful remodel, and you can’t go wrong with the crew at Selig Custom! Give us a call today or fill out our online form, and we’ll tell you more about how you can save $1,500 on your walk-in bathtub during your free, no-obligation consultation!